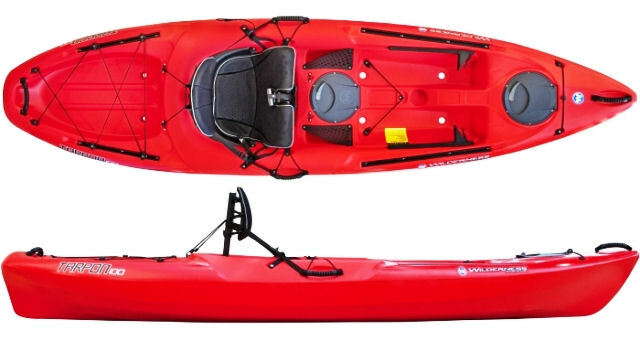 The Wilderness Systems Tarpon 100 is one of the most versatile Sit on Top kayaks available and the smaller version of the very popular Wilderness Systems Tarpon 120. The Tarpon 100 is playful in bumpier conditions, thanks to its wave piercing bow design, yet its full length keel design makes it easy to paddle on longer trips. With a wide and stable hull design, whether you like to paddle in the waves or on calmer day trips, you can rely on the Tarpon 100 to look after you. The Tarpon 100 has a well thought out and user friendly deck lay out which includes some useful features for any type of paddling. An 8" round hatch in between your legs offers easily accessible storage for any items you may need on the water and storage pockets either side of this are ideal for fishing tackle etc. 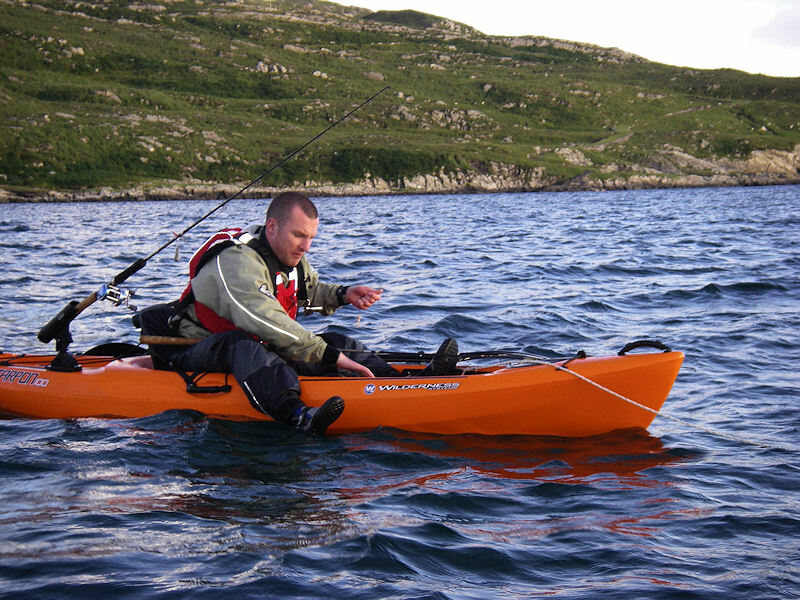 The adjustable foot pedals that are fitted to the Tarpon 100 as standard offer great support and extra control over the kayak, combined with the Phase 3 Seat these mean a very comfortable paddling experience. Other features of the WIlderness Tarpon 100 include another 8" round hatch on the front, a large storage well behind the seat with bungee's to keep your gear secure, convenient side mounted carry handles and slide trax rail for mounting of accessories front and rear. 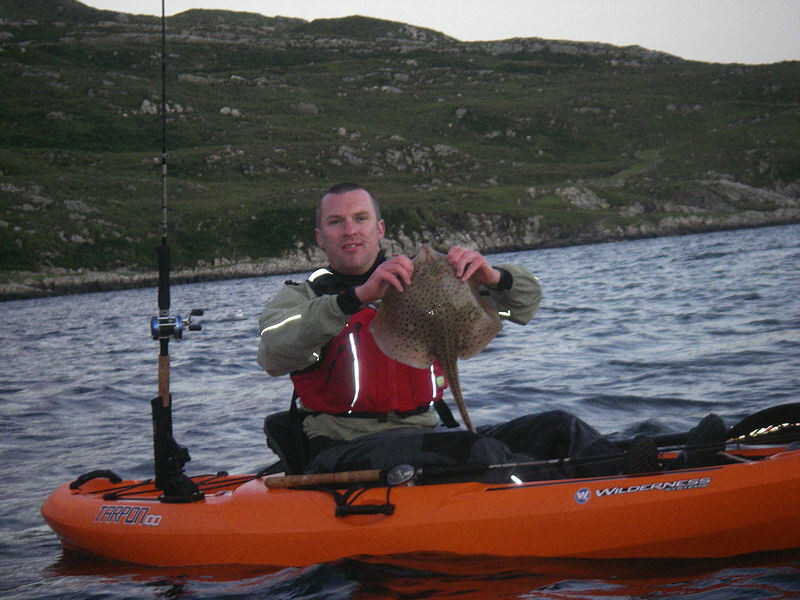 The Slide trax system, when combined with a Trax Mounting plate (see recommended kit tab) can be used to mount scotty rod holders without drilling the kayak. No matter what you are planning on using the Tarpon 100 for; paddling on sea, rivers or any where else, it is one of the most comfortable sit on tops on the market. The Trax mounting plate slides in to the rail of a Tarpon and is used to secure accessories and rod holders. The Scotty baitcaster rod holder is suitable for light spinning rods and is ideal for combining with the Trax Mounting plate on the Tarpon 100. 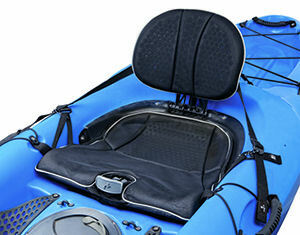 Folding trolley for transporting your sit on top Kayak, uses the scupper holes of the Tarpon to transport the kayak. If you are local to our shop in Hamworthy, Poole then we may be able to deliver a Wilderness Systems Tarpon 100 with one of our own vehicles. For boats, this is free to most BH Postcodes - please call us on 01202 625256 to discuss your requirements. Buy a Wilderness Systems Tarpon 100 online from our website and collect from our shop in Hamworthy, Poole or you can collect from any branch within the Canoe Shops Group. There is no cost associated with instore collection.